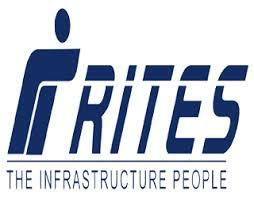 RITES Limited has announced recruitment news for the post of Assistant Manager and Engineer. Applicants interested in this job may apply online on or before 6th May 2016. Education / Qualification: Applicants applying for this post must possess Engineering degree in Mechanical / Electrical / Electrical & Electronics from Government Universities/ Institution. Age: Maximum age limit to apply for the post of Assistant Manager is 35 years and for the post of Engineer is 32 years as on 1st April 2016. Procedure to apply: Applicants interested in this job may apply online at the website address given below in the link on or before 6th May 2016, after applying online kindly take the printout of online application and send it along with all the relevant documents on or before 12th May 2016 at the address given below. Procedure of selection: Applicants would be selected on the basis of thir perfromance in personal interview. Important date to remember: Last date of submitting online job application is 6th May 2016.